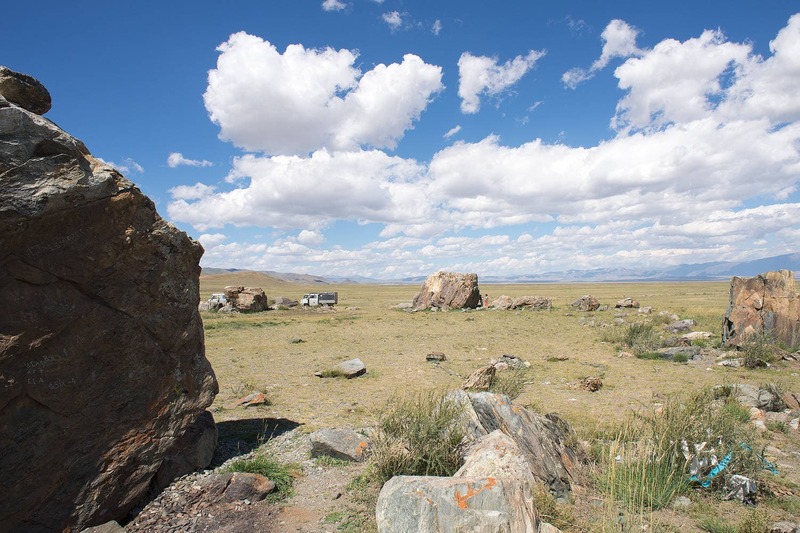 The Tarkhata megalithic complex is located in the Chuya steppe, approximately 25 km from Kosh-Agach, the centre of the district. It was discovered by scientists in 1970s, but regular study started only in 1994. 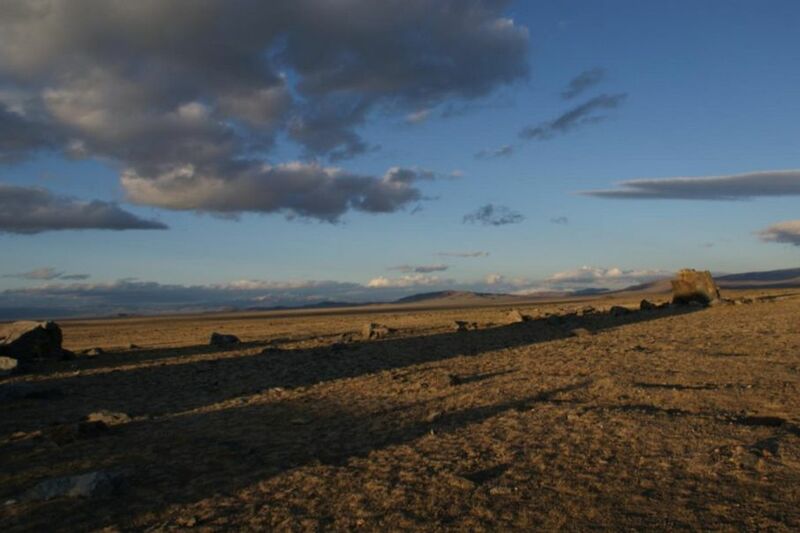 In 2005 research by the scientists of the State Hermitage Museum (Saint-Petersburg) was done and the Tarkhata megalithic complex was named “Altai Stonehenge” by the leader of the expedition L.S. Marsadolov. The complex consists of stones and rocks which form a circle. 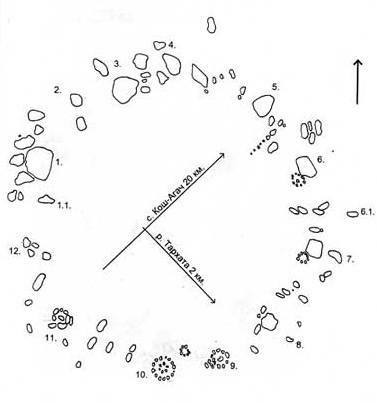 The Inner diameter of the circle is 60 metres, the sizes of the stones and distance between them are different. 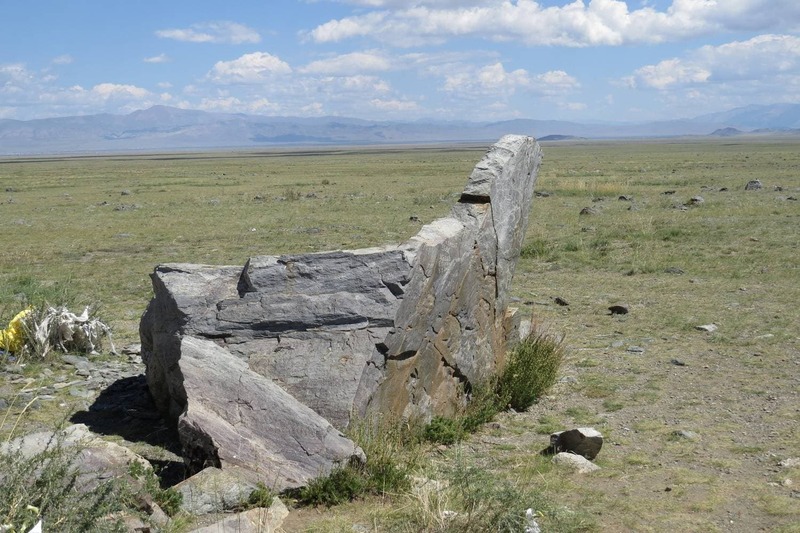 4 megaliths are higher than 2 metres and form 2 gates in the north-west and in the east. The biggest megalith has the size 6*5*4 metres. One megalith attracts attention by its form – it seems to be a giant armchair or Altaian traditional cradle. Now local women come here to make a ritual of sitting in the chair and praying to spirits for children. One version is that the huge rocks were brought by a glacier but the study of surrounding moraines showed that they have quite other characteristics. 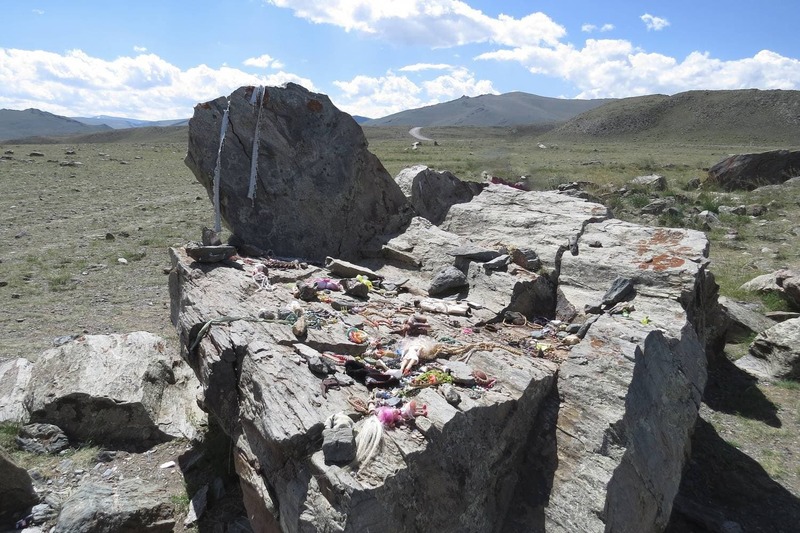 So it seems that they were carried by people from the nearest rocks, 12 km from this place. Moreover, the scientists found different magnetic anomalies in each megalith. 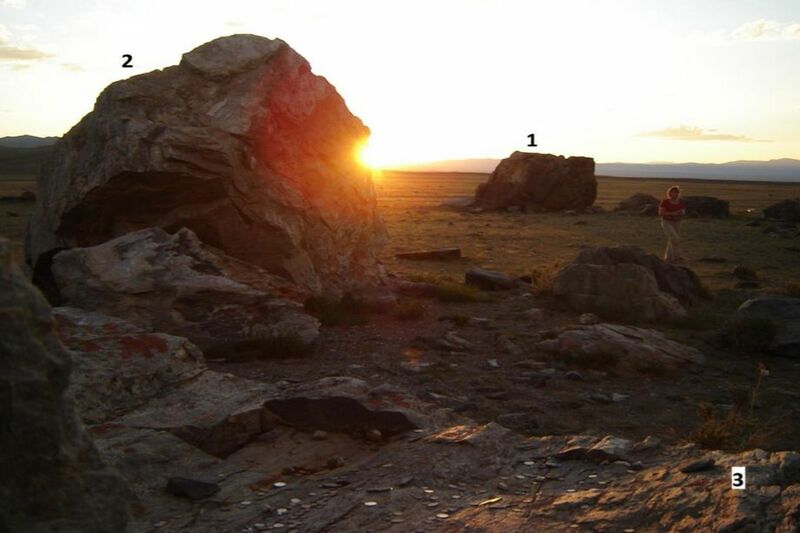 Meanwhile, the common rocks in this place of Chuya Steppe don’t have any anomalies. It is assumed that the magnetic field was created by ancient people with some purpose, which is still unknown. The geographical position of the stones allows to say that the complex was used as an astronomic object. It was built with great precision, the deviation from the astronomical meridian is within a fraction of a degree. The mutual orienting of the megaliths is such that only in the period of the summer solstice a similarity of shadows can occur, and that during sunset a so-called “light corridor” is formed. Moreover, only on one day of the year, during the summer solstice, the last ray of the sun could be observed from the megalithic armchair. The Tarkhata megalith complex differs from other similar complexes because it has petroglyphs on 4 stones. Their content reflects the mythical form of the observed astronomical phenomena, such as the visible diurnal and annual motion of the sun. The last researches conclude that the Tarkhata megalithic complex is a sacred place (a sanctuary) and was used as a calendar – built between late III and early II millennium B.C.E, to stabilize the knowledge connected to the regular motion of its primary deity – the Sun.